understanding-the-keurig-recall-can-you-sue | Robert W. Elton, P.L. Understanding the Keurig Recall: Can You Sue? Keurig announced at the end of 2014 that they were recalling almost 7.2 million of their MINI Plus Brewing Systems. These machines were reported for causing burn injuries (some very severe) to the face and extremities. There were a total of 6.6 million machines in the United States and over 500,000 in Canada recalled by the company in December. The recall was issued after Keurig received over 200 reports of liquid leaving the machine and causing severe burns. So far there are over 90 burn injuries reported. The Keurig recall is a defective product recall. As a consumer, you need to know the facts about this recall and what you can do if you were injured. According to the Consumer Product Safety Commission, the water overheated during the brewing process, which then sprayed out and caused burns. Most of the reported injuries were deemed “minor”, but the company chose to recall their product anyway. These recalled units were sold between December 2009 and July 2014 online and in-store. The Consumer Product Safety Commission has a full list of recalled units and their respective serial numbers if you are worried your MINI Plus Brewing System. Keurig does have a recall remedy that is no cost to consumers. 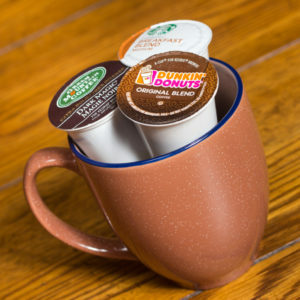 Consumers who purchased the recalled machine will receive a free repair kit, but until they are repaired, owners should not brew more than two cups in a row—and if so, maintain an arm’s length distance while the machine is brewing. What Happens If I’m Injured by a Keurig Machine? If you were injured by a Keurig machine or suffered from scalding, you still have options. Because this product is defective, Keurig is responsible for burns, medical costs, and any time you have taken away from work because of your burns. Defective Keurigs fall under product liability. Any time a product is defective, the manufacturer is responsible for any damages it may cause. To see if you have a case for product liability, speak to a personal injury attorney. If you or a loved one was injured because of a defective product, the Product Liability Attorneys Daytona Beach at the Law Offices of Robert W. Elton can help. Schedule a free consultation today with one of our personal injury attorneys and we can help you with your claim. Whether you’re injured by a faulty machine, appliance or even a Keurig, we want to help you recover your damages. Previous post: Injured at My Office Party: Can I Sue?